Vice President of Vivekananda Kendra Mananeeya Balakrishnanji visited Hyderabad between 20th and 22nd August 2016. During his stay, he took the stock of Kendra’s work in the city in particular and Prant in general. He paid his visit to senior Kendra worker Smt. P. Kalawati (Mataji) who was recently bereaved. 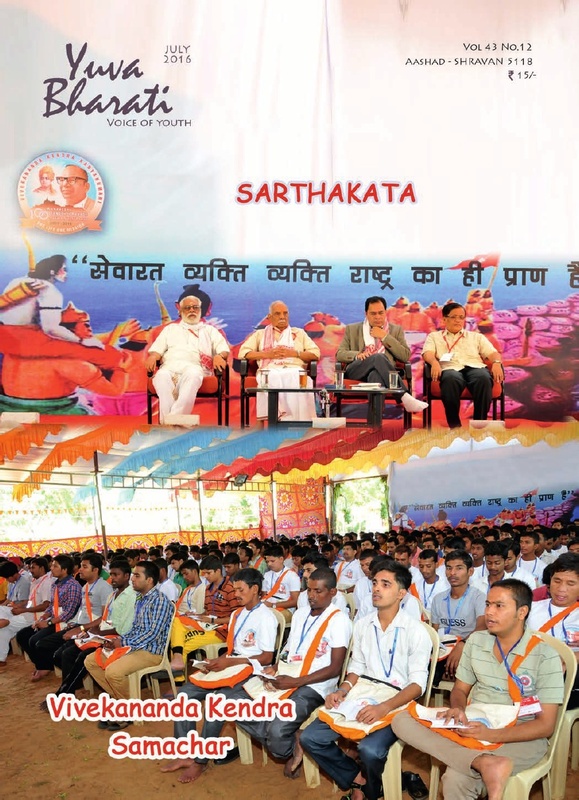 On 21st August 2016, a Karyakarta Baithak was organized at Vivekananda Kendra Kaushalam. 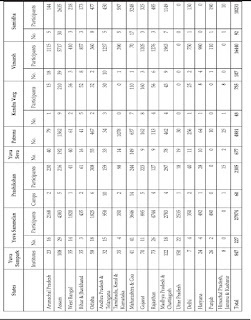 Almost 70 karyakartas from the city, including Prant Sanchalak Justice Ramuluji, Prant Sah Pramukh Sri Prasanna, Prant Sanghatak Ku. 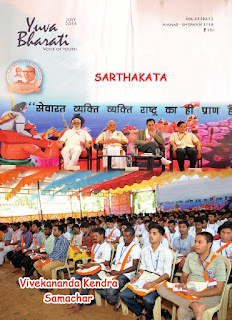 Sujatha Nayak, Prant Vyavatha Pramukh Sri Bhaskar Sharma, Vibhag Pramukh Sri Sudhakar Reddy and Vibhag Sanghatak Sri Deepak Khaire participated in the program. Nagar Samiti members from Dilsukh Nagar, Ameerpet Nagar, Kukatpally Nagar and Baghlinghampally Nagar were present in good number. The program was highly informative and inspiring as Ma. 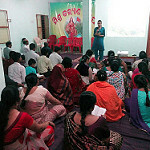 Balakrishnanji, in the course of his formal and informal talk, spoke on variety of subjects including the vision of Vivekananda Kendra, the work of Kendra in tribal areas, the need to strengthen the work amongst children and youth, the vision behind its Kaushalam Project and the need of dedicated full time and local workers for this noble mission. On a question of use of technology in spreading Kendra work, Balakrishnanji said we must embrace technology with changing times because change is permanent, and so are the values. We must be updated. He also briefed the time tested chatusutri in expanding the work. Ma. Balakrishnanji said we must find and solve the problems the society is facing, proactively, without depending on the government. 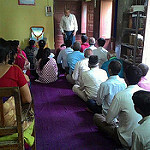 Responding to what inspired him to join Vivekananda Kendra, Balakrishnanji recalled his pre Kendra life when he was in Indian Air force which was though challenging enough, he was looking for greater challenge and responding to Mananeeya Eknathji’s call, resigned his well paying job to join as Jeevanvrati of Vivekananda Kendra. He said his forty-four years in Kendra have been extremely challenging and satisfying, and would like to be a Jeevenvrati of Vivekananda Kendra in his next birth too. The program concluded with Shanti mantra and Kendra Prarthana, followed by Lunch during which the karyakartas interacted informally with Balakrishnanji and also with each other. Vivekananda Kendra Arun Jyoti conducted five Medical Camps in flood affected Namsai district of Arunachal Pradesh from 8th to 12th August 2016. The camps were organized at Mahadevpur I, New Silatoo, Philobari and Woisali villages of Lekang circle and Menkeng Miri of Namsai circle. A total 759 patients were examined by our mobile medical team and medicines were distributed free of cost. 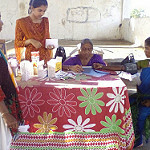 Most of the patients were suffering from cough, cold, fever, skin diseases and various water borne diseases. Our medical team interacted with the village elders, youths and students and advised them to take special care on clean and safe drinking water during flood. All Lekang Youth and Student Union (ALYSU) and Adi Student’s Union of Lekang block volunteers associated with the medical team for successful completion of the camps. The CDPO, Namsai also joined hands with the Arun Jyoti team for the camp in Namsai circle. It is to be mentioned that Gokul Braj Foundation, a non-profit organization from Mumbai donated various medicines for the flood victims and these medicines were utilized during the camps in the flood affected areas. Vivekananda Kendra Kanuakumari, Bangalore Branch celebrated the Gurupurnima program on 23rd of July 2016 at Kendra premises. Smt. Gayatri Krishnamurthy, Pravachanakaararu and Kirthanakaararu blessed the gathering. She was with us as chief guest. In the beginning Srinivasaiah, Sanchalak welcomed the gathering and gave a brief introduction of the Guest. Smt Ratnamma, Vyavastha Pramukh thanked the guest and all the participants. Smt Kunda, Nagar Pramukh and Chief Trustee of Sadyojatha Charitable Trust presided over the function. 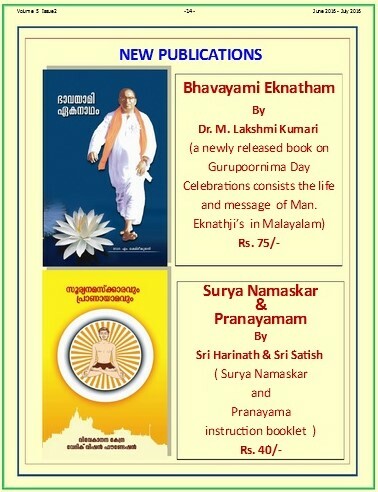 Smt Gayatri Krishnamurthy spoke about the significance of Guru and Vyasa Poornima. The speech was a mix of information, Pravachana and Kirthen about Veda Vyasa which was appreciated by the gathering. “The environmental crisis is an outward manifestation of a crisis of mind and spirit. There could be no greater misconception of its meaning than to believe it to be concerned only with endangered wildlife, man-made ugliness, and pollution. These are part of it, but more importantly, the crisis is concerned with the kind of creature that man is and what we must become in order to survive”. i. Shri.Narendra Joshi in his blog - “Rameshwaram, the anchor of Indian Renaissance” writes about 12 Jyotirlingas and the specialty of Rameshwaram Jyotirlinga. ii. Hand in Hand India trained School students, Youth groups and SHG members in the field of environment and empowered them to be a part of ‘Green Rameswaram’ movement. v. And finally the grand opening of ‘Green Rameswaram’ building and usual social engineering works. 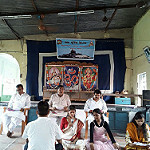 Vivekananda Kendra Shiksha Prasar Vibhag, the administrative body for Vivekananda Kendra Vidyalayas under Vivekananda Kendra Kanyakumari located in Assam & Nagaland organised 3-day Teacher’s Orientation Camp in Vivekananda Kendra Vidyalaya (NEEPCO), Umrangso, from 1st to 3rd August 2016. 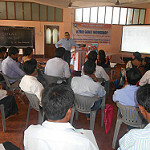 Altogether 135 participants participated in the camp. The objective of the camp was to sensitize the serving teachers with the Organizational aspect, Capacity Building and Continuous & Comprehensive Evaluation Modules , Technological dimensions in classroom situations. The inaugural day started with a Band Display by the 38 Assam Rifles, Arjun Company, Umrangso. Dr. Dhananjay Parashuram Ghanawat, IPS., Superintendent of Police, Dima Hasao, was the Chief Guest. The significance of Attitude, Values in day-to-day life which equips a student for lifetime, while knowledge and skills keep on coming with the passage of time, he opined. He underlined the role of Teachers in addition to the Parents in preparing a child in ushering a better Society. He also urged the teachers not to keep their roles confined to classrooms only but also be a role model and play as guide to members of public. Sri Pravin Dabholkar, Joint General Secretary, Vivekananda Rock Memorial & Vivekananda Kendra Kanyakumari, & Secretary, Vivekananda Kendra Shiksha Prasar Vibhag, Guwahati spoke on the importance of holding Teachers’ Orientation Camp every year. Sri Sibnath Barman, Social Worker, distinguished guest in the Inaugural programme laid emphasis on Spirituality which once formed the core of Society. 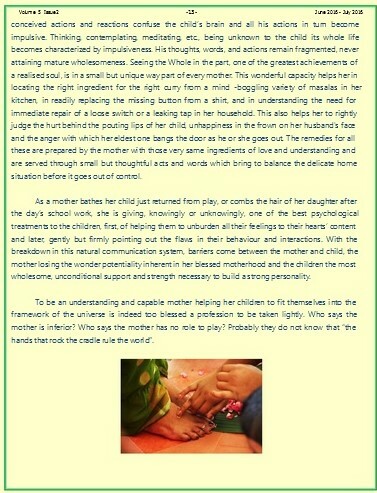 Sri Giridhar Patowary, Executive Director, NEEPCO, Shillong, expressed dilemma of a parent in teaching his or her child. Mohan Dihinga, DGM (Civil) , KHEP, NEEPCO, Umrangso was the other dignitary present. The Resource Persons for the TOC were Sri Vivek Ponkshe, Deputy Secretary, Education Wing, Jnana Probodhini, Pune; Sri S.P. Verma, Director, Vidya Institute of Training and Development, Meerut, Sri D. Bhanudas, All India General Secretary, Vivekananda Kendra Kanyakumari, Dr. Arzuman Ara, Asst Professor, English & Foreign Language University, Shillong. The sessions on Swami Vivekananda’s vision of Education, Man Making Classrooms, Use of technology in Classroom situations specially in learning languages was appreciated by the participants. The concept of Virtual Classrooms in schools also was discussed in details. Kendra Vargas (Study Circle), Krida Yoga, Prayers, Geet Abhyas (Song Practice), Sanskritik Sandhya ( Cultural Evening), Prerana Se Punarutthan, were the other features of the Camp. 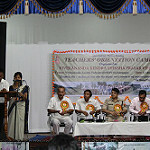 Sri Amarendra Barua, ACS., Deputy Commissioner, Dima Hasao, was the chief guest for the Valedictory Programme. He hoped that the concepts given in the TOC., will benefit the participants. Newly join Sevavratis' Prashikshan Shibir Started on 7-August-2016 in auspicious presence of Ma. P. Parameswaranji, President of Vivekananda Rock Memorial & Vivekananda Kendra and Ma. Niveditadidi, Vice President of Vivekananda Rock Memorial & Vivekananda Kendra. Ma. 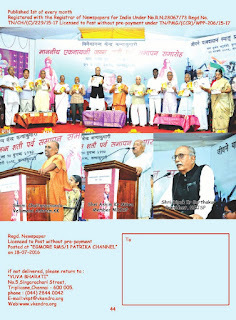 P. Paramewaranji's written message is as below, read-out by Shibir Pramukh, Shri Ravi Naidu. Vivekananda Kendra Arun Jyoti has Organised GURU POORNIMA BY FELICITATED TO PRIEST at Wakro on 31 July 2016. The programmed was stated with Mishami prayer song followed by lighting of lamp. The chief guest of the function was Sri Lupalum kri chief engineer, EAST ZONE, PHED. The programmed was attended by 95 persons including PRI members, calsom, i care (NGO), Govt employees and Student Wakro. 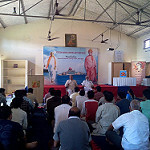 Sri Rominso Mam karyakarta of Vivekananda Kendra length explained the importance of Guru Poornima, the role of guru in our human life and the importance of relationship between the guru and shisya in the modern society and how to preserve the age old culture and tradition of Mishami or pray for the peace of whole world. Smt. Silotmai Chikro Saha Vyavastha Pramukh of Tezu, she gave the brief introduction of the Vivekananda Kendra. Sri Lupalum Kri, chief guest expressed his higher gratitude to Vivekananda Kendra for the great contribution in the field of education and for other activities in Arunachal Pradesh. He advised the students to respect their father & mother and their be love parents.He gave concentrate on the importance of goals in life and said students should set their goal in life. He keep before the student own example, how he has became an engineer by hard work ' where there is will, there is a way. 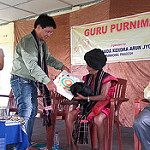 In the programmed the oldest priest of mishmi society of Wakro circle Shri Tadiplum Yun was felicitated by VKAJ Wakro, turban and momentous was felicitated .Sri Dominso Tayang was the guess of honer, he speak on unseen guru of mishmi priest.He told that he also a priest but yet not see them but when his guru came in him.He is become a powerful person from normal person.He also told that without guru like is useless, to live a meaningful life we need a guru in our human life. Sri Ashok Atale Nagar Sangthak,Tezu, spoke about the activities of Vivekananda Kendra in Lohit, Anjaw, Namsai, Lower Dibang Valley by supporting to the students for pursuit studies in different part of India and how these students are contributing energy and time for the welfare of society. Sri Somodang Towsik an employee and writer he narrated a story on the role of priest & guru with importance of priest in the Mishami society. The programmed ended with vote of Thanks and Prayer. 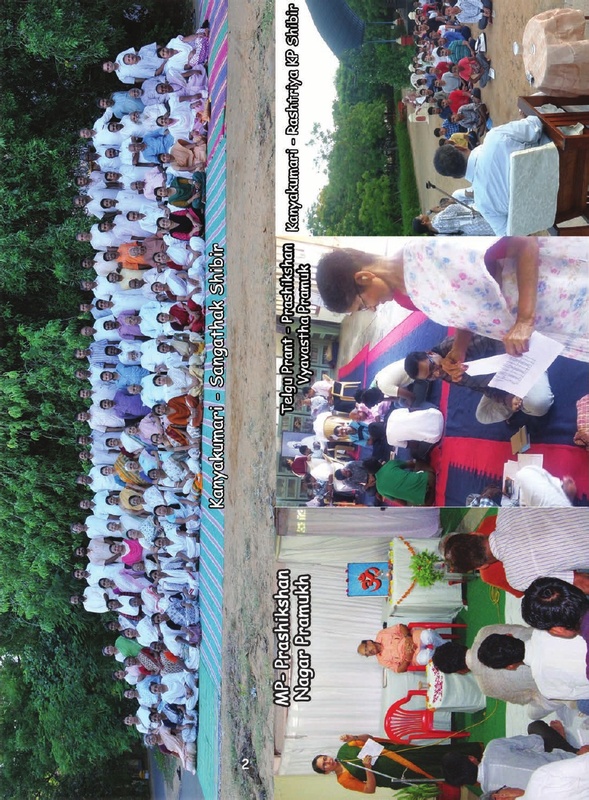 Vivekananda Kendra Arun Jyoti Branch Namsai organised the Guru Purnima Program at Donyi Polo Ganging, Lower Silatoo on 30th July 2016 in this Program 45 persons were present the program started with the Adi prayer song. The importance of Guru Purnima ” Dupu Taipodai, Vyavastha Pramukh VKAJ Namsai. Shri Lokeswar mili as a Joint Secretary Donyi Polo Yelem Kebang Central body of Arunachal Pradesh has grace the occasion on Chief Guest, who lighting the lamp with Prayer and felicitations of Tabe Abu (Priest) Sri Sri Mojit Yein. Sri Sitrajit Panging As a president of Donyi Polo Yelem Kebang , Namsai District appreciated the Priest felicitations By VKAJ. Lastly the program concluded with the Prayer by Krayakartas. Vivekananda Kendra Arun Jyoti Anjaw, organised the Guru Purnima Program at Town Club Hayuliang on 27th July 2016. The renowned priest Sri Sogiang Manyu for their leading and forwarding the old culture values with encouraging mishimi. Sri S. Basant Kumar Principal of VKV Amliang while explaining has informed that the Guru Purnima day is actually Birth Date of Vedavyasa who edited the Vedas and established the Guru tradition for protecting our traditional knowledge. He said, ”Being a Priest or Rishi means opening out of a heart, to have a large heart. 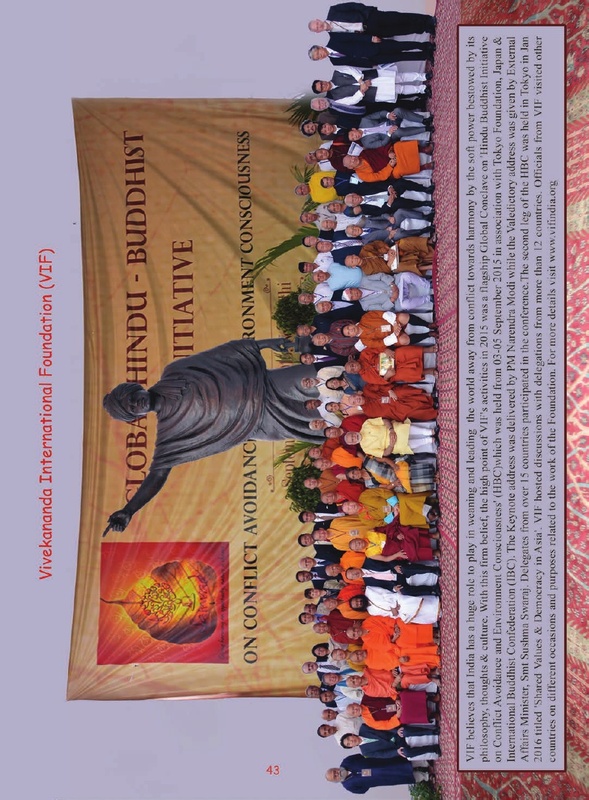 Sri Achang krong, Karyakarta of Vivekananda Kendra while informing about the VKAJ. Gurupurnima Celebration at RoingVivekananda Kendra Arun Jyoti Branch Roing organised the Guru Purnima Program at Donyi Polo Ganging Meka on 23rd July 2016 in this Program 92 persons were present the program started with the Adi prayer song. The introduction and contribution of Vivekananda Kendra explain by Miss Sumila Linggi, Nagar Pramukh VKAJ Roing she briefed the VKAJ programs like Informal Education Wing, Health Wing, Cultural Wing, Women Wing, Youth Wing etc. 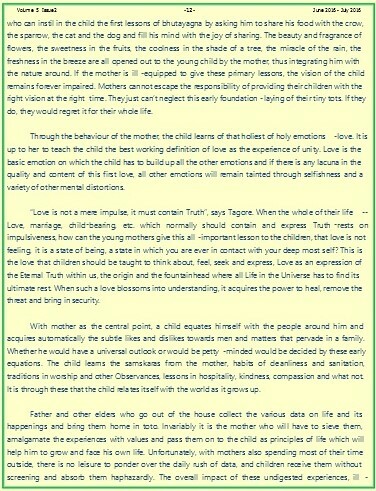 The importance of Guru Purnima” explained by Dr. Manaya Mena VKAJ Member she said about the importance of guru in our life like a God. Because guru gives us the knowledge and guru link every human being to God. 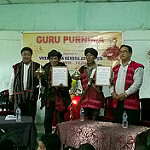 The renowned priest (Igu) of Idu Mishmi Sri Akudu Linggi and the ganging Priest (Tabe Miri Abu) of Adi Sri Mertem Gamno were felicitated with citation and mementos by Sri Jatan pulu VKVAPT Trustee member on behalf of VKAJ Roing. Sri Atet Pertin Advocate and Sri Monti Linggi ASM appreciated the noble work of VKAJ. Sri Yashik Pertin Nagar Sanchalak VKAJ Roing conducting the allover program.The vote of thanks given by Smt. Gebi megu Sah Nagar Pramukh VKAJ, Roing. Lastly the program concluded with the Idu Prayer Song by the students of Nestling Hornbill Academy Mayu Roing. 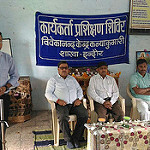 Vivekananda Kendra Loknath Nagar organised the Guru Poornima utschav at 2 places. On 17th July Guru Poornima was celebrated at Mahanambrat shatbarshik hall, Mahanamangan Ashram, VIP Lake Town. 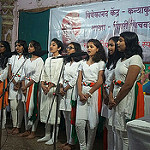 The karyakram was started by 3 Omkar, santi path, guru vandana and bhajan. 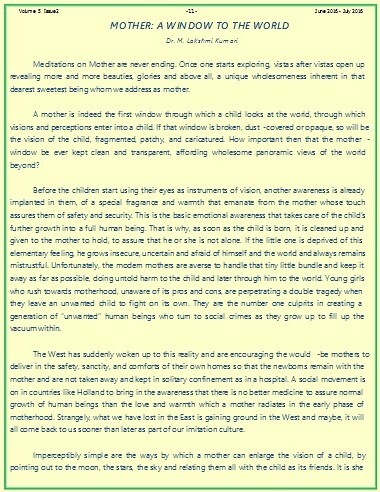 Sri Shiv Jayswal(vistar pramukh-New Town) says about the concept of Omkar guru and Ved Vyas ji. Chief guest Adaraniy Bandhunibas Brahmchari Maharaja speak about the guru parampara of Indian culture and the great guru-shushy parampara of Bhagvan Shri Krishna, Shri Chaitany Maharaj, Adi Shankarachary. On the occasion Sri Pradeep Jayswal (Prant Vyabastha Pramukh), Ramesh Moondra, Vikash Jaiswal were presented with the 22 attendant. Vanita Jhadkhandi gave the vote of thanks and Ku. Harshita Moondra conducting over the programme. 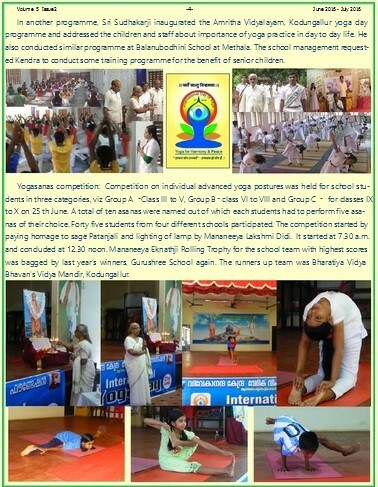 The programme was concluded by the shanti and Kendra Prathana. Guru Poornima was celebrated on 19th July at Chinar Park, Chhautala. Achary Sri Shashidhar Shukla, Sri Mohan Maity (Secy Human rights, Baguiati Block) presented as guests. Total 12 karyakartas were discussed about the concept of Guru - Shishya Parampara in Indian culture. Guru Poornima is celebrated at 3 Places on 19 July. 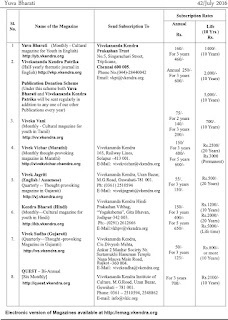 Vivekananda Kendra Karyalaya Bidhan Sarani, attend 35. 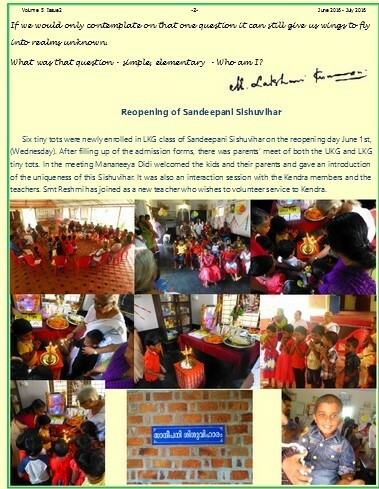 In Belgachia, 33 children of celebrated guru-poornima. In Sovabazar toatl attendance is 117 in the program. Gurupurnima observed at Michaelnagar Karya Sthan on 23rd july in presence of 14 committe members. 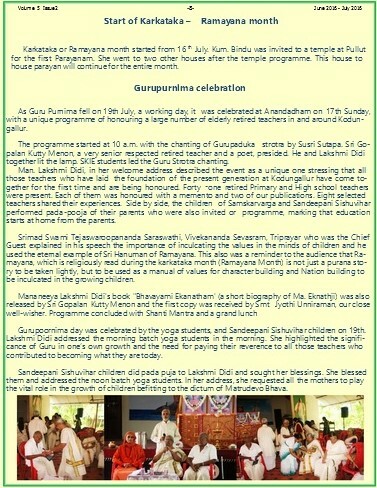 In Howrah, Guru Purnima Utsav was organised at 2 places. Arihant Enclave on 24 July.Sri Umapada Mondal(Sayonjak) conducted the programme. It was started with 3 Omkar, Shanti path, Guru Bhajans followed by a beautiful Play on Shivaji Maharaj's life incident by the Samskar Varg karyakartas. 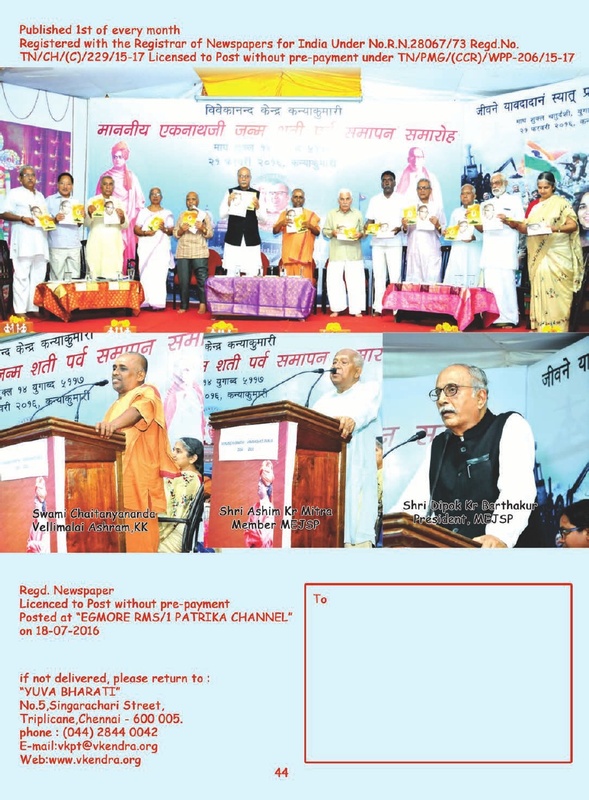 A short address on the importance of Guru Purnima was given by Shri Pradeep Jayaswal (Prant Vyavastha Pramukh). On 17th of July Guru Poornima was celebrated at Rabindra Nagar Complex, Shalimar by the Sansak Varga karyakartas. They also performed a drama on Shivaji Maharaj's life incident. In Uluberia, Guru purnima was celebrated on 19 July at Institute Hall, Uluberia. Chief guest was Sri Manoranjan Bandopadhyay, (chief Priest of Uluberia Kali Mandir). Chair person was Sri Joydev Saha,(vistar pramukh), 45 persons attended the program. 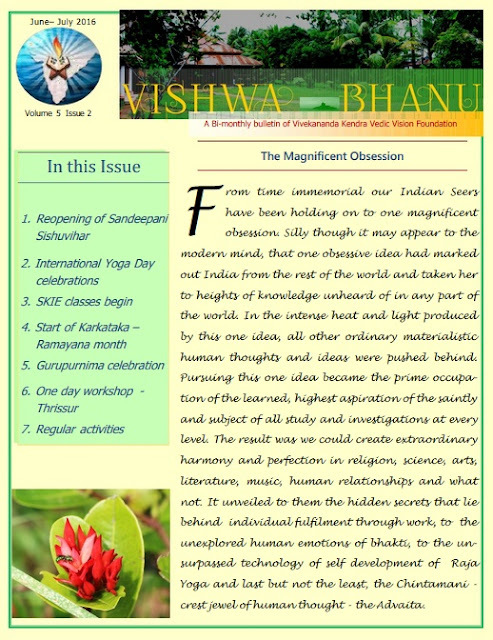 In Shantiniketan Vibhag, Celebration took places at 4 places. Suri branch celebrated the Guru purnima utschav on 19th July at Bamdev Sangha Kali temple complex. Dr. Pabitra Dasbakshi(Sanyojak) discussed the significance of Guru Purnima. Same manner the celebration was organized in Kalna and Malada. 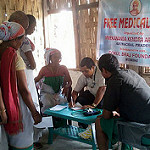 Free medical camps were organised by Vivekananda Kendra Assam Prant with Vivekananda Kendra Vidyalaya Shiksha Prasar Vibhag. Bajaj Electricals under its CSR initiative has supported and helped to start a solar powered computer training center for quality and effective education for underprivileged students of Vivekananda Kendra Vidyalaya, Tezpur, Assam. 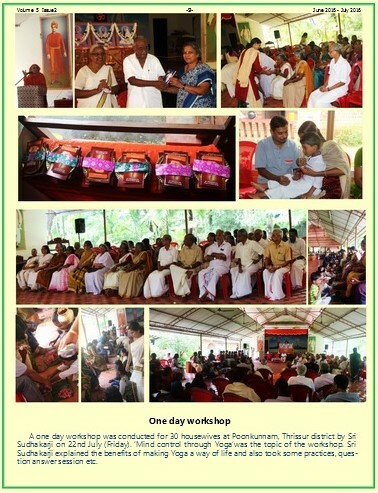 This is one of its kind which has been initiated in North Eastern Region by the company. It is envisaged that the project is going to benefit more than 400 students coming from local tribes & non tribes under Binduguri Panchayat in general and girl students in particular. 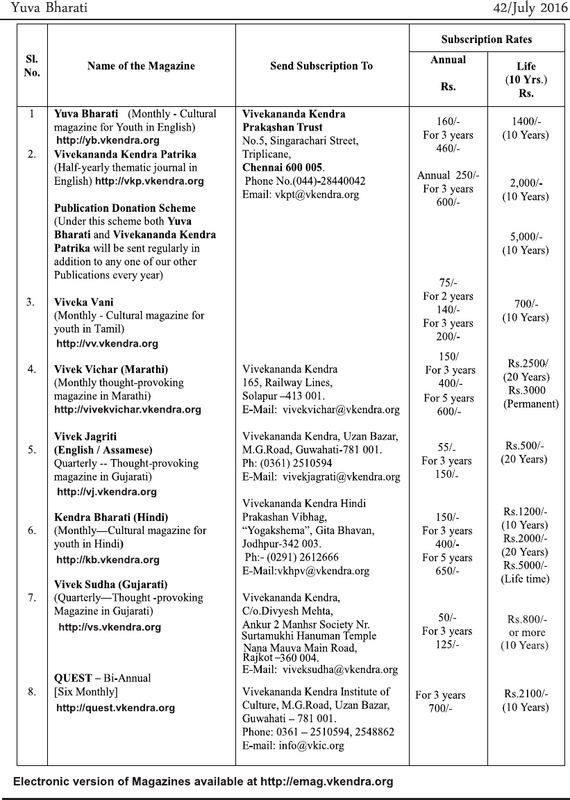 Vivekananda Kendra, Kanyakumari is one of the largest social organizations, founded in 1972. They have a network of 55 English medium school spread over Assam, Nagaland and Arunachal Pradesh and provide education to children who would otherwise lack access to it owing to their poverty implications. In order to provide modern education to the students, Vivekananda Kendra Vidyalaya approached Bajaj Electricals Ltd. Mumbai, to support the new ‘Computer Training Centre’, which has been powered by Solar PV(photovoltaic) energy system in conjunction with grid supply. At the Vivekananda Kendra Vidyalaya School in Tezpur Assam, the school suffered from severe electricity shortages, and is reliant only on the power grid that supplies power only for a few hours per day. With such limited and inconsistent access to power, children were not able to study computers properly. It has also been observed that the students of the school currently have no means to access computers in school or outside. Therefore, BEL provided solar hybrid system to create a solar computer lab for enhanced learning opportunities for the students.Provision of such low-cost, energy efficient and sustainable learning solution to the underprivileged learners in rural areas and access to educational resources through technology can exponentially increase their chances and quality of learning and employability. The inauguration ceremony of Solar Powered computer centre took place on 24th July 2016 at Vivekanand School Tezpur, Assam. The occasion was graced by Shri Ram Prasad Sharma (M.P – Tezpur Constituency ) Mr. Pravin Dabholkar (Joint General Secretary), Shri A.Balakrishnanji (Vice President, Vivekananda Kendra Kanyakumari ) Shri Dipok Kumar Bothakur (Anchal Pramukh,Uttar Purbanchal) Ms. Reboti Devi (Joint Secretary) and Mr. Dipankar Dutta (BSSM Bajaj Electricals Ltd Guwahati) along with the Students of the school. “In fulfillment of the purpose of taking the message of Swami Vivekananda to common people Vivekananda Kendra, Kanyakumari conducts Vidyalayas in Assam for imparting Man Making Education for rebuilding Bharat to guide the World. VKV Tezpur is latest addition initiated in 2009. Adequate infrastructure enables congenial environment to be created. Bajaj Electricals Ltd has graciously added to our efforts by Sponsoring Computer Laboratory in VKV Tezpur,” said Chief functionary of Tezpur School. 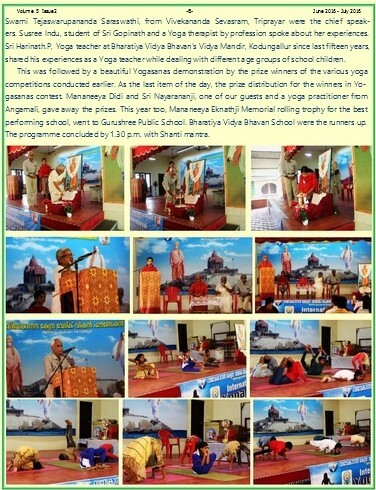 Gurupoornima parav was held at Kangra in the Swami Vivekananda Kendra Nagar Palika Pustakaliyia on July 19, in the evening where besides Kendra activists local residents and intellectuals of the town participated. Prof . Krishen Chand Gupta former Principal MCM DAV College Kangra presided over the function and Ashok Raina Himachal Vibagh Pramuk spoke about the importance of the day. He narrated different incidents of Swami Vivekananda and his Guru Swami Ramakrishena illustrating the Guru Shesha Parampara of those times. Tributes were paid to great Guru Ved Viayas on the occasion. Gurustotram and Guru bhajans were sung and prasada was distributed after Gurupooja. A Vedic Ganit workshop for the teachers organised by Vivekananda Kendra Shiksha Prasar Vibhg, Panbazar, Guwahati concluded on on 23 July 2016 at Vivekananda Kendra Institute of Culture, Uzan Bazar, Guwahati. Total 41 teachers participated from Vivekananda Kendra Vidyalayas Assam, Nagaland and Arunachal Pradesh besides a few from other schools around Guwahati. Sri Sriram Chauthaiwale, a former professor of Mathematics from Nagpur, Maharastra, who is the all India Asst. Secretary of Shiksha Sanskriti Uttha Nyas, was the resource person for the three days Vedic Ganit workshop held from 21st to 23rd July 2016. 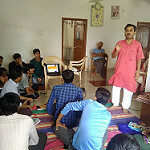 Creating awareness about glorious history of Indian Mathematics and introducing the basic techniques of Vedic Mathematics in arithmetic and algebra, so that the students can do the bigger calculations easily and creating a fear free Mathematics learning environment in the schools is the sole objective of the workshop. 1. Arithmetic: Addition, Subtraction, Multiplication, Division, Square, Cube Square roots and cube roots of natural numbers. 4. Multiplication and division of polynomials. 5. 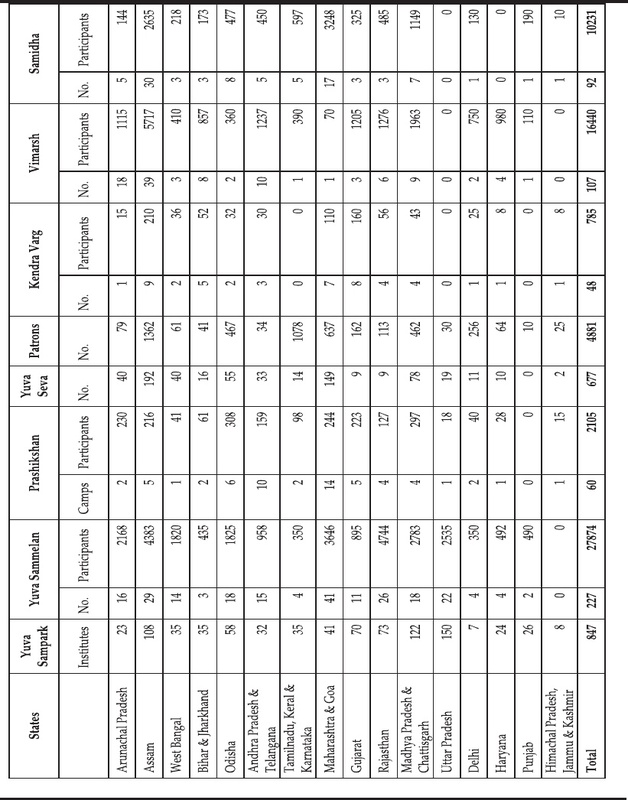 Contributions of ancient Indian mathematicians. Dr. Kailash Ch. Goswami, former Vice Principal and Head of the Department Maths of B. Barooah College, Guwahati guided teachers in the concluding programme on 23 July for effective teaching of Vedic Ganit. He said we should always give the practical knowledge of Mathematics to our students and encourage our students for maximum practice of Mathematics. Kum. Meera Kulkarni, Pranta Sangathak, Vivekananda Kendra Assam Prant said that we can create deshabhakta through teaching vedic mathematics to students. Earlier in the inaugural program on 21st July Dr. Ramchandra Deka, former Vice Principal of Pragjyotish College Guwahati urged the teachers to teach mathematics to students like a game to create interest among them. Sri Pravin Dabholkar, Joint General Secretary, Vivekananda Kendra Kanyakumari stressed on the objective of the workshop. 17.07.2016 - Guru shloka , Guru Bhajan competition organised for primary , high school and samskara varga students on 17th July. 45 students and 86 parents participated . Smt. Vasumati did, Su. Soumya didi, Smt Lakshmi didi and Smt. Susheelamani were the judges. 19.7.2016- Guru poornima celebrated at Kendra Karyalaya , Jayanagar. Sri Satyanarayana pooja performed and Sri C V Gopinathji talked the importance of the day. Smt. 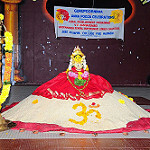 Nagartnamma didi presided the function. More than 150 people attended. At the end Prasada distributed. 24.07.2016- celebrated at Nanjumalige SAMSKARA varga. 130 students attended. Guru bhajan, Guru shloka chanted.